The Central American River Turtle, Dermatemys mawii, is a large, aquatic freshwater turtle found along the coastal lowlands of southern Mexico, northern Guatemala and Belize. Locally known in Belize as the Hicatee, D. mawii has been intensely harvested for its meat. It has been virtually eliminated from much of its former range in southern Mexico, while its status in Guatemala remains unclear. The lone surviving representative of the family Dermatemydidae, D. mawii, is a unique evolutionary lineage. Classified as Critically Endangered (facing an extremely high risk of extinction) by the IUCN Red List, it is ranked 15th in the report Turtles in Trouble: The World’s 25 Most Endangered Tortoises and Freshwater Turtles – 2011, by the Turtle Conservation Coalition. After a country-wide survey conducted by Dr. Thomas Rainwater to determine the status of the Hicatee in Belize in 2010, the BFREE/Turtle Survival Alliance partnership began to launch a multi-prong conservation effort to halt the decline of the species. Shortly after the field surveys, BFREE and TSA along with the Belize Fisheries Department co-hosted a workshop in December, 2010 that led to the formation of the Hicatee Conservation Network (HCN). TSA approached BFREE during this time and planning began to construct the Hicatee Conservation & Research Center (HCRC) at the field station. The goal was to create an assurance colony and investigate the reproductive biology and feasibility of breeding Hicatee in captivity. In 2011, construction on the HCRC began and by 2014 ponds were stocked with adult and sub-adult turtles. In tandem with the development of the HCRC, members of the network remained active in their conservation work. Members continue to monitor populations of hicatee throughout the turtle’s limited range and implement outreach programs in targeted areas throughout Belize in order to raise awareness of the increasing plight of D.mawii. A Hicatee Conservation Forum and Workshop was held in February 2016 to review HCN activities and to chart the way forward. During 2017, Richard and Carol Foster completed a natural history documentary on the turtle. The film was used as a centerpiece for an awareness campaign and on October 17, 2017, National Hicatee Day was celebrated for the first time by Belizeans and conservation partners worldwide. 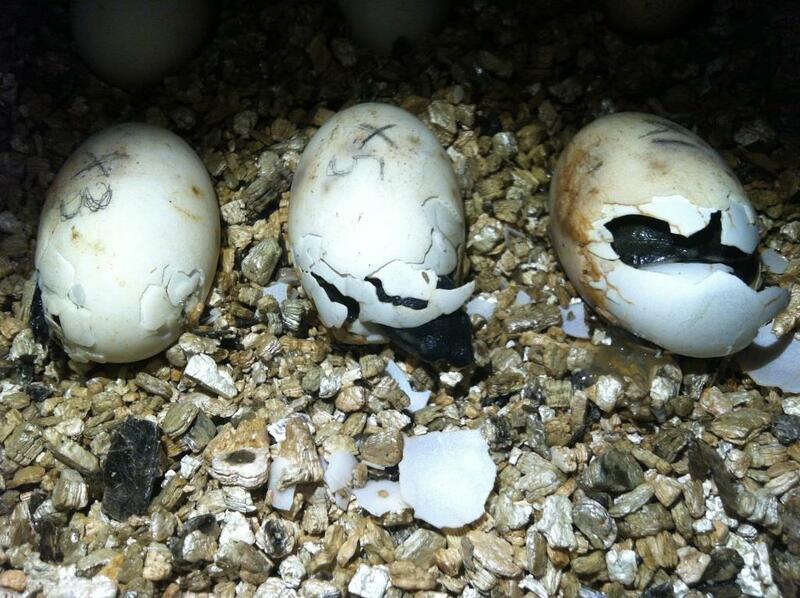 The first hicatee hatchlings at the HCRC. Rick Hudson, President of the TSA, holding a female subadult Hicatee turtle during a recent visit to the HCRC. Heather Barrett, Rick Hudson and Jacob Marlin (2016). 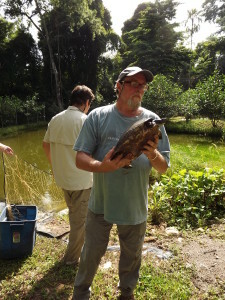 A Breakout Year for Central American River Turtle Program in Belize. Turtle Survival, 44-45. Heather Barrett (2015). 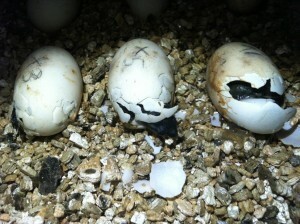 Hicatee Conservation and Research Center Produces First Hatchlings. Turtle Survival, 36-37. For the entire magazine, see here. Jacob Marlin and Heather Barrett (2014) Endangered Turtles Find a Home at the New Hicatee Conservation and Research Center in Belize. Turtle Survival. For the entire magazine, see here. Jacob Marlin (2013) Local Belize Businesses Step Up to Support Hicatee Conservation. Turtle Survival, 47-48. For the entire magazine, see here. Jacob Marlin (2012) Hicatee Conservation Research Center Takes Shape in Belize. Turtle Survival, 46-47. For the entire magazine, see here. Thomas Rainwater, Jacob Marlin, Rick Hudson and Steve Platt (2011) Forging Partnerships in Belize to Protect the Hicatee: A Team Building Approach to Conservation. Turtle Survival, 82-85. For the entire magazine, see here. Thomas Rainwater, Tom Pop, Octavio Cal, Steve Platt, and Rick Hudson (2010) Catalyzing Conservation Action in Belize for Central America’s River Turtle. Turtle Survival, 79-82. For the entire magazine, see here.